At Nexus Engineering Group, your work helps make our world a better place. Each project we take on, from our long list of world-class clients, helps better our communities in several ways. We help our clients produce cleaner products, safer working environments, and more efficient ways to manufacture using less energy. As part of the Nexus team, you’ll make lasting contributions to these initiatives by working with teams on major chemical, refinery, and manufacturing projects that help our clients produce products that make our lives easier and safer every day. We like challenging work and reward those that embrace the opportunity to grow with us. With decades of industry expertise and years of hands-on experience, we understand that our clients’ goals become our goals. They rely on us to provide predictable and consistent business and technical results time and time again. We can honestly say our clients truly like working with us. 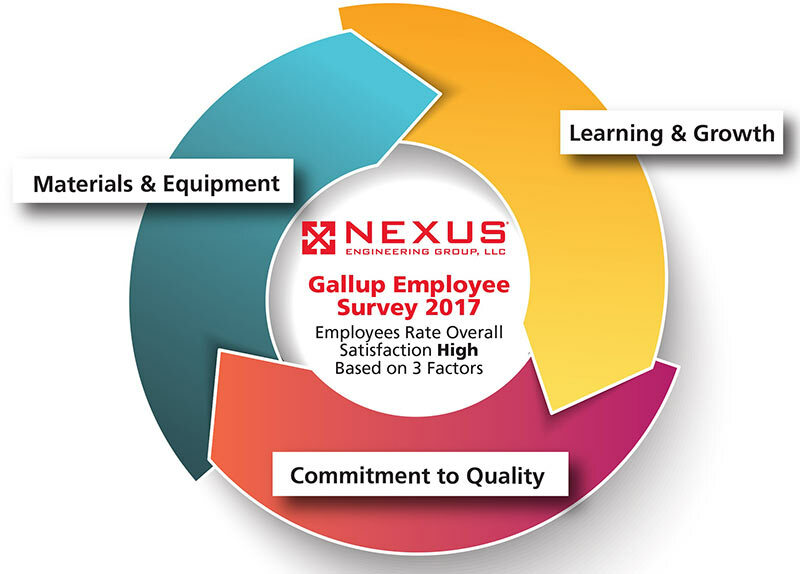 Nexus is a great place to work. Our team members rank us high in employee satisfaction , collaboration, and teamwork. We use state of the art tools to work on interesting projects that have a positive affect on the world. And we always make learning and continuous improvement priorities. At Nexus, we think differently. We think different about careers and provide more than just jobs. We know that your contributions matter in making our world a better place. So, if you have a passion for winning, enjoy challenging work, and enjoy being a part of successful teams, we’d like to hear from you. Nexus is passionate about investing in the future by developing engineering students into talented young professionals. 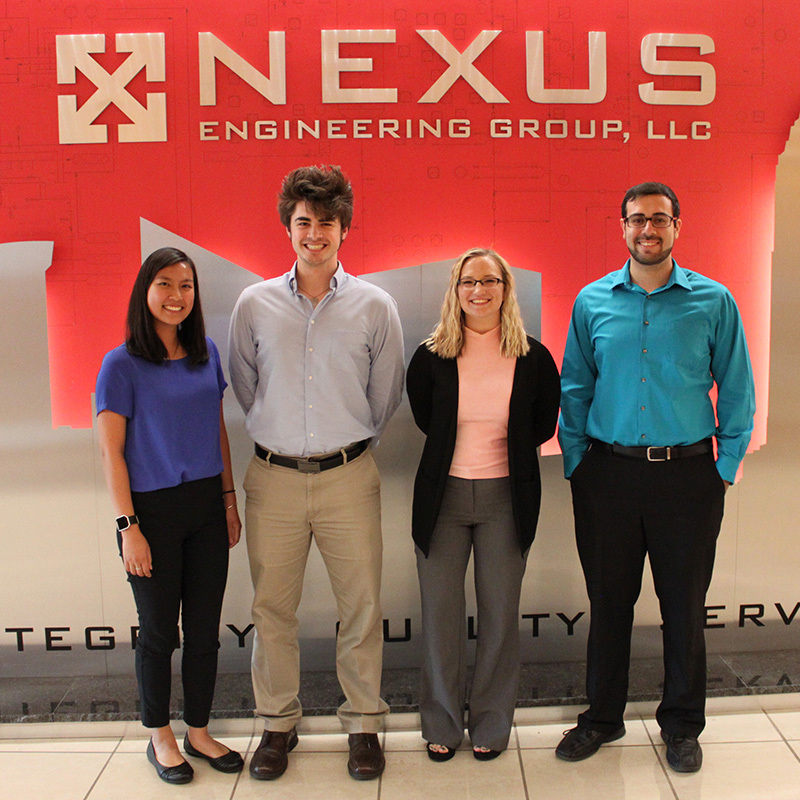 Nexus firmly believes that providing diverse training and opportunities for growth are key to developing a well-rounded, successful engineer. Our co-ops/interns work on real world engineering problems and contribute to the delivery of engineering solutions for our customers. They are part of our team. Our co-op/intern approach has provided our past students with a significant advantage when starting their careers. When they become full time members of our team, they already have a solid foundation from working with our tools and technology, allowing them to immediately make a positive impact on the success of the firm. We have amassed an excellent group of people that have really invested in Nexus as a company. They are a pleasure to work with and socialize with. With tuition reimbursement offered, Nexus supports my growth within this company and opens opportunities for advancement in my Nexus career. I’m proud that Nexus Engineering Group gives back to the communities in which we live and work and donates to worthy charities on a regular basis. During my tenure with Nexus Engineering, I have confirmed many of the expectations that I had prior to my arrival. Included in those expectations was a highly professional and welcoming work environment, which is conducive to creativity and solution development.